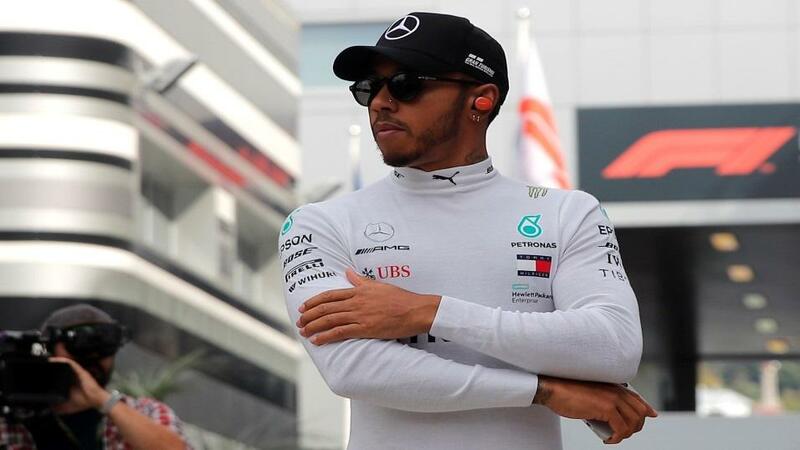 Can Lewis Hamilton all but seal a fifth title in Sochi? Mercedes have an excellent record in Russia and our new F1 columnist James Gray reckons one of their drivers will be on top of the podium on Sunday. "The Russian Grand Prix should be an opportunity for Hamilton to stretch his lead and all-but seal the title with five races to go... "
Slowly, the 2019 grid is starting to take shape as F1's longer term strategists get their chess pieces in position for next season. Lewis Hamilton's new contract at Mercedes was the trigger for all sorts of dominoes, the most surprising of which saw Daniel Ricciardo switch to Renault. Ferrari followed by dispensing with Kimi Raikkonen to bringing in promising Monegasque Charles Leclerc while McLaren announced two new drivers in Carlos Sainz and Lando Norris - but one place there will be no changes is Haas, who on the eve of the Russian Grand Prix confirmed they would retain Kevin Magnussen and Romain Grosjean for another year. The American team have aspirations to join the top echelon of the sport. But that is a crowded group which they, Force India and Renault are all desperate to join. And this season has been a consistent reminder that Hamilton, Sebastian Vettel and Max Verstappen are just three of those with plenty more to give at the front. Lewis Hamilton closing in on title number five? Hamilton is getting used to clear air, in more ways than one. The Brit has won four of the last six Grands Prix and, in the two in which he failed to triumph, he was on the second step of the podium. After a stuttering start to the season, Hamilton appears imperiously dominant. From Vettel's point of view, there could not be a worse time for his rival to find his form. The gap at the top of the F1 World Drivers' Championship is now 40 points and Hamilton is the [1.18] favourite to take the world title with second-placed Vettel at [6.4]. On the track, Hamilton has often been known as someone who loves the chase, the challenge of overtaking and who loathes the monotony of driving on his own at the front of the race. But now a more complete driver, he has the bit between his teeth and a fifth world crown in his sights. He will not give it up. The Russian Grand Prix should be an opportunity for Hamilton to stretch his lead and all-but seal the title with five races to go - and there are plenty of stats to back up his chances. Since the F1 circus returned to Russia back in 2014, Mercedes have won the race every single time. Hamilton has claimed two of those victories with Nico Rosberg and then Valtteri Bottas last year topping the podium. The layout of the track has enabled drivers with the powerful Mercedes engines to make their advantage pay, with the two long straights making other cars sitting ducks for simple overtakes. Add to that Hamilton's remarkable form - he has only missed out on the podium three times this season - and it is difficult to look past a win for a Mercedes driver at [1.67]. Vettel and team-mate Kimi Raikkonen have had something like the horsepower to match their Mercedes rivals for the first time in the current era of machines and early signs in practice suggested that Ferrari and Vettel would be the ones to beat. But Hamilton and Bottas, running on the slower soft compound tyres on Friday morning, were ominously just three and five tenths of a second behind him. In a vacuum, the man to back would be Bottas. The Finn gives little away secured his first ever Grand Prix win in Sochi last year and seems to love the track, with a third and a fourth there while at Williams. He looks excellent value at [6.0] to take the overall win this time around. Mercedes, however, might have other ideas. Bottas has admitted he will be a team player if required and, should he find himself leading Hamilton, there is little doubt that he will be asked to move over.